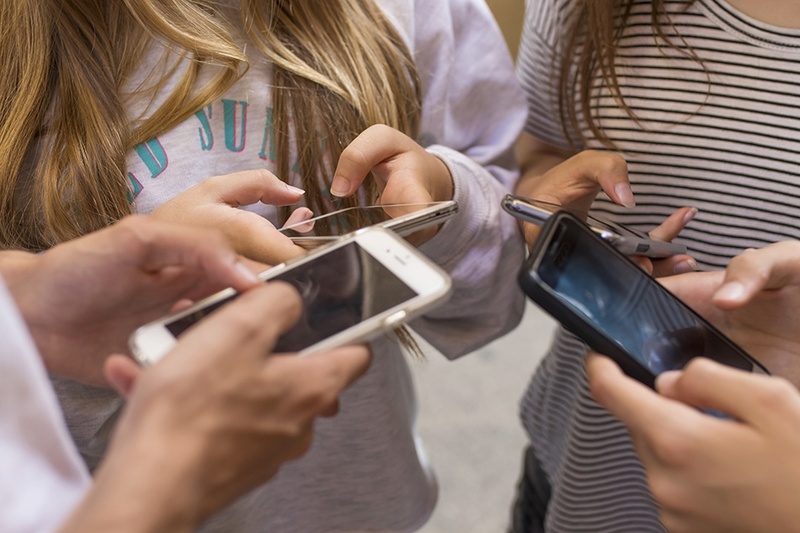 Juul Labs, the maker of the most popular U.S. e-cigarette, announced earlier this month that it would be shutting down its Facebook and Instagram accounts (arguably two of the best ways to promote consumer brands to the masses) to stop advertising to teens. What’s interesting is the fact that, according to Statista, only 3% of Facebook users are teenagers. The target demographic (ages 18-44) for e-cigs, however, consumes 60% of Facebook users today. Instagram, particularly teen dominated, is home to 1 billion users a month and boasts 500 million active users a day. Why would any business willingly stop advertising on these powerful channels? More than four lawsuits were filed against Juul this year with allegations that the company has been targeting underage teens, and deceptively marketing its e-cigs as safe. The FDA has been cracking down on the epidemic of marketing e-cigs to teens for obvious reasons. This report by CNN reveals an 80% jump in e-cig use by high school-aged kids. Does it all have to be doom and gloom for all tobacco businesses? What if, instead of shutting down your social media advertising like Juul Labs did, you learned to play by the rules, only advertise to adults, and be able to prove it? Understand the FDA regulations for social media in your industry. Here’s a link to FDA guidance and regulations for the tobacco product industry. Determine which social media venues are going to hit your target demographic and design your campaigns based on those determinations. Use social media listening and social media monitoring tools to ensure your marketing campaigns are staying compliant with FDA rules. Ensure prompt response to any posts, tweets, and conversations that could put the company at risk for non-compliance. Backup your data! Capture and preserve your social media as it occurs, so if you ever need to prove you handled a compliance issue correctly - you can prove so! Shameless plug - there are a few specific ways PageFreezer’s technology can help you check off these items. The PageFreezer platform allows you to monitor social media feeds for a list of keywords you set. The tool works to keep track of instances where these keywords are posted on your pages, by an employee running your social media accounts, as well as times where your followers interacting with your pages post them. PageFreezer notifies you by email instantly when these forbidden keywords are used, giving you plenty of opportunities to correct the message, provide feedback to an employee, or delete the post altogether if it comes down to it. PageFreezer runs in the background to capture and preserve all your digital content in real-time. This gives you confidence in your ability to locate and export valid copies of your social media conversations that meet standards for data authenticity and integrity. The fear of regulatory enforcement may be enough to have companies swearing off social media, but the risks of lawsuits and non-compliance fines can also be easily avoided through appropriate social media policies, strong record collection, and active social media monitoring. 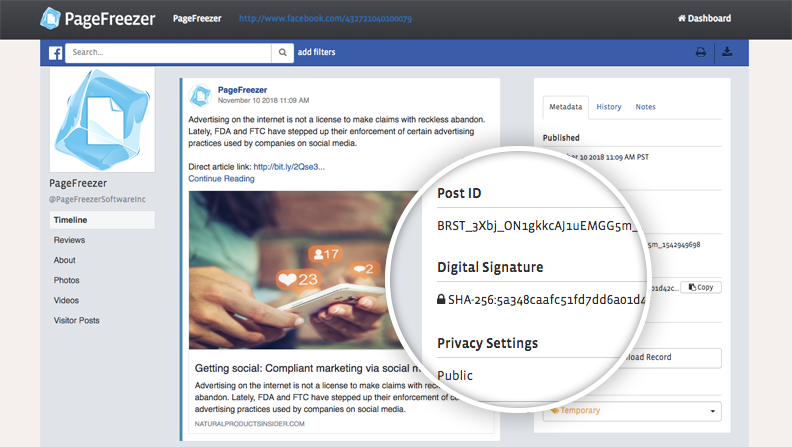 Get in touch with PageFreezer and learn how our social media compliance, eDiscovery, and monitoring solutions can help your business get the most out of its marketing activities, and stay out of trouble. Disclaimer - PageFreezer does not advocate the sales or use of tobacco products. This news story has been used to make advertisers aware of their options for protecting themselves against potential lawsuits and damaging fines.